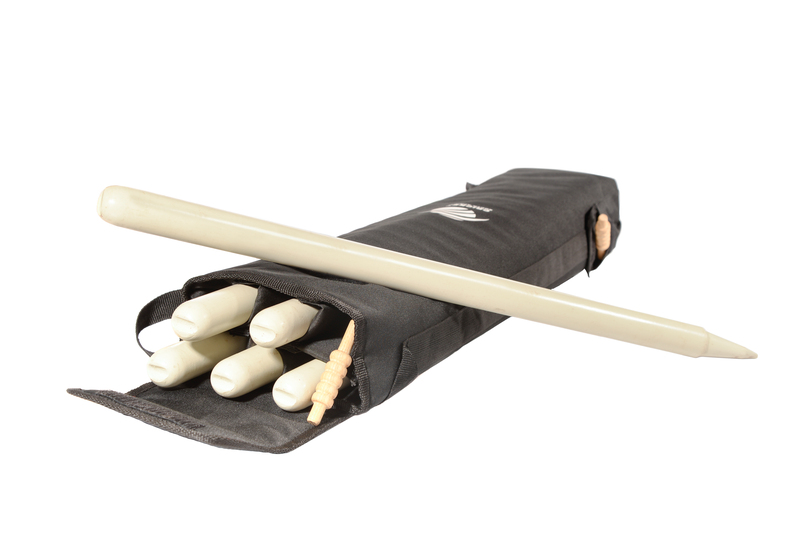 The Cricket Trimmings stump bag is another of our unique products designed to keep stumps and bails in one place and not left lying in the corner or on the storeroom floor. 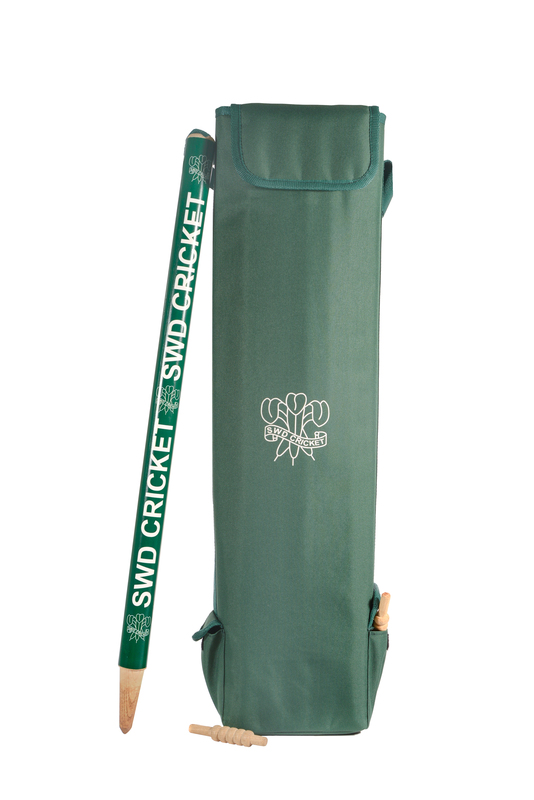 As with our match ball bags, these stump bags are made out of nylon/polyester mix fabric. Inside partitions are connected with velcro to hold the 6 stumps while two side pockets allow for easy storage of the bails. A top flap connects with velcro for easy opening and closing and a side strap allows for simple carrying.